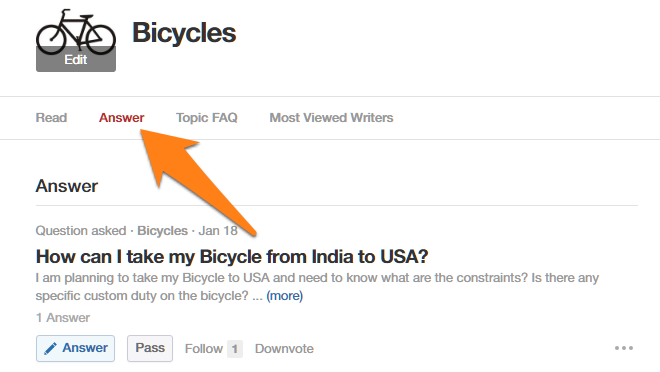 Quora’s community driven Q&A platform is one of the most loved websites online. From figuring out how Bruce Wayne acquired all his skills to learning how to build a company, there are few questions you can’t find answers to on the site. But Quora isn’t just for finding interesting questions and answers. When used right, it can also be an incredibly powerful marketing tool for your e-commerce store. In this post, we’ll show you how to tap into Quora’s 100M monthly users to promote your store, research your customers and grow your audience. The first question: why bother with Quora? After all, don’t Facebook, Twitter and Instagram have much bigger audiences? As per Quora founder Adam D’Angelo, Quora has over 100M users every month. This is nearly a third of Twitter’s 310M monthly users. Because of the quality of its content, Quora gets a lot of traffic from search engines (roughly 30.6% as per Alexa). This is much higher than Twitter, which gets only 7% of its traffic from search. By answering questions on Quora, there is a high chance your answer will rank well in the SERPs, bringing you traffic for months and even years. You can change your Quora bio for every topic. When you’re answering questions on fashion, you could brand yourself as a fashion expert. When you switch over to marketing, you could call yourself a marketing expert. This expert tag can rub off on your own (and your store’s) brand. Your social media updates have very short half-lives. 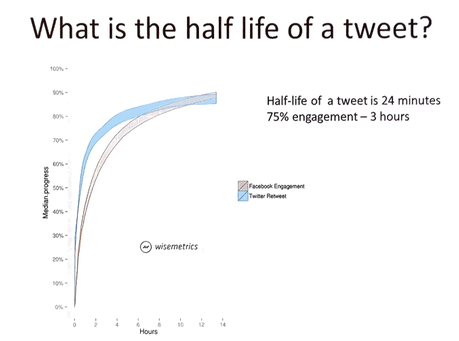 A tweet, for instance, has a half-life of just 24 minutes. This means that after 24 minutes, the tweet will reach just half its audience. Within 48 minutes, this will be 1/4th of the original audience, and so on. Quora posts, on the other hand, are more permanent. If you answer a question on Quora, it might continue to rank in search engines for years. This means you get long-term traffic from Quora, not short-term results. Besides the above, Quora’s demographics also line up perfectly with most e-commerce brands — youngish, educated and with income to spare. This makes it an ideal platform to promote your store. There are a number of ways you can use Quora — to get long-term traffic, to brand yourself as a niche-leading expert, and to brainstorm content ideas. If you search for a popular brand name on Quora, you will see a Topic: [Brand Name] result at the top of the search results. If you click a brand topic, you will see a list of questions related to the brand. You can also choose to follow the topic or get a brief description about it. Creating a brand topic on Quora is a great way to get people to follow your brand (and collect questions related to it). Think of it as an extension of your existing owned media (such as your blog). Once you create a topic, you can seed it with relevant questions, create a compelling description and develop an audience within Quora. You can also use it as a reputation management tool. Thanks to Quora’s strong domain authority, questions related to your brand will show up high in the search results. To create a brand topic, type your brand name into Quora’s search box and choose Search: [Your Brand Name]. From the results, choose Topics under By Type. Then choose Create Topic in the right sidebar. You can now create a branded topic and seed it with relevant questions and answers. Quora has countless answered and unanswered questions related to your store’s niche. Answering these questions is one of the easiest ways to build an audience and develop authority in your industry. Over the long-term, such answers can bring you a constant stream of visitors through search engine. To do this, start by searching for a keyword that describes your store or your product. If you sell bicycles, this would be, well bicycle. This would show you a list of questions related to your keyword. You can go ahead and answer these questions with your own insight. For example, one of the first questions on Bicycles is about helmets. If you also sell helmets in your store, you could answer this question with some advice on why you need a helmet and how to buy one. If you’re answering a popular question, there is a chance your answer will get drowned out by the noise. To mitigate this, focus on unanswered questions first. You can find these unanswered questions by clicking on Answer in the topic menu. Since these questions don’t have any answers, yours will show up at the very top initially, giving you more views. When you answer a topic-focused question, change your bio to reflect your expertise. If, say, you’ve been a cyclist for 20 years and have been running a store for 10 years, say so in your bio. This will add to your authority. Plus, by plugging in your store name (without the URL), you’ll increase your brand recognition. 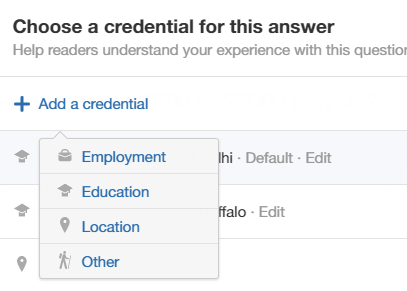 You can do this by hitting Answer on a question, then clicking Edit Credential. On the next pop-up, add a credential such as your work, education or anything else. Don’t add entire URLs here (with http://) since they are not clickable. Instead, add your store name. Your credentials can be changed for each topic. If you’re answering a question on, say, entrepreneurship, mention your business school background. If you’re answering a question about bicycles, mention your cycling experience. And as always, remember to be helpful first, promotional second. Your answers should give readers actual insight instead of just a promo for your store. Being helpful is the only way to build a long-term audience on Quora. What if there are no questions related to your niche? Or what if you want people to answer a question related to your products? Easy: just ask the question yourself. Quora gives you complete freedom to any question on virtually any subject. To do this, enter your question in the search box. Make sure to phrase it as a complete question and not just as a bunch of keywords (including the ? at the end). Then click on Submit question. You can even ask the question anonymously. After you click Submit question, it will show up in Quora. You can then either answer it yourself (useful when you’re building a knowledge base about your product) or you can invite someone to answer it (i.e. Ask to Answer). Be related to your store (so if needed, you can answer it yourself to drive people to your store). Include keywords related to your store so you can get traffic from search engines. Do you have a FAQ or a knowledge base on your site? Do customers frequently come to you with a few specific questions? Quora can double up as a worthy alternative to a conventional knowledge base software, especially for in-depth, technical questions. For example, suppose you run a bicycle store. Customers might email you periodically to ask you about different bike frames. 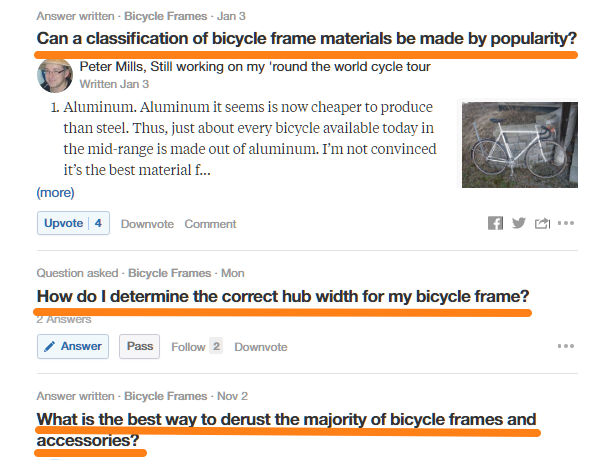 Instead of answering these questions individually, you could simply create a question about bicycle frames on Quora and direct customers to the right answer. Coming up with content ideas for your blog can be a challenge. Keyword research tools can only tell you what keywords people are searching for, not the exact questions they’re asking. This is where Quora comes in. Quora’s database revolves around human-asked and human-curated questions. 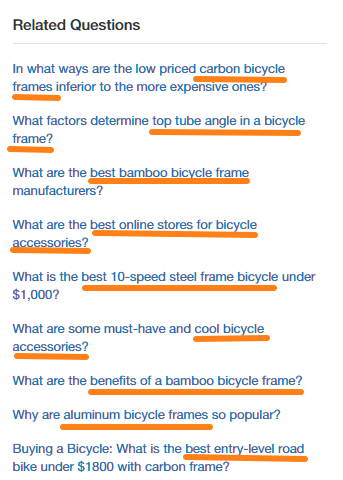 These go beyond keywords — these are actual questions people want answers to in a niche. Let’s go back to our bicycle frame example. Searching for this topic shows a bunch of questions that can easily be turned into blog posts. For even more questions, you can go to the unanswered questions tab under Answer. Each of these questions has potential to be turned into a full-fledged blog post. A seed keyword is essentially a broad keyword that can be plugged into a keyword research tool to find new keyword ideas. Quora’s Related Topics list makes it a great tool for finding such keywords. 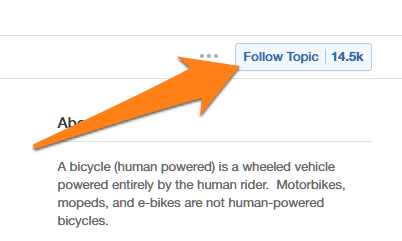 Try this: search for your topic on Quora, then scroll down and find the Related Topics section in the right sidebar. Each of these topics can work as seed keywords. More importantly, you can use these topics to group your existing keywords and organize your products. 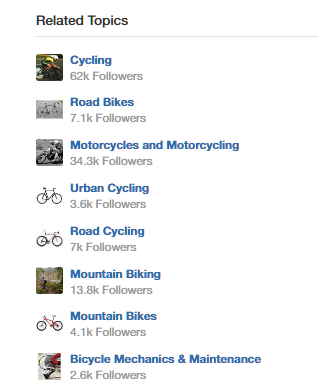 A bicycle store, for instance, might organize its products into three categories — Road Bikes, Urban Bikes and Mountain Bikes. If Quora’s Related Topics are great for finding seed keywords, Related Questions is useful for finding long-tail keywords. 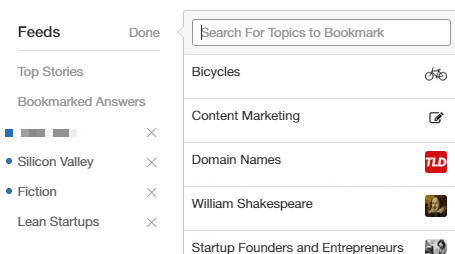 To find these keywords, search for your topic, then click on a question related to your niche. Scroll down and find the Related Questions section in the right sidebar. In this example, the highlighted bits are all long-tail keywords you can use in your SEO campaign. Thankfully, Quora makes it easy to find new questions consistently. You can do this by following a topic by clicking the Follow button on the topic page. Once you do this, new questions related to the topic will show up in your home feed. You can also bookmark a topic by clicking on the Edit button next to the Feed in the left menu. Besides this, you can also mark questions for answering later. To do this, click the … icon next to the question and choose Answer Later. When you next click on the Answer tab in the top menu, you’ll see the question under Answer Later in the left sidebar. This way, you can quickly build up a library of questions you want to answer. Try to answer at least 1-2 questions every week to build up an audience and start establishing yourself as an expert. Quora offers a lot more than just entertaining questions. Because of its massive user base, it is also a powerful platform for promoting your store and conducting niche research. These 7 tactics will give you a headstart on your store marketing. Pick one of these tactics, follow it diligently for a month, and notice the results. How are you using Quora to promote your store? Let us know in the comments below!